Does your finish really make a difference? You bet it does! How many times have you lost your balance in your swing and hit a great shot? Not many times I am guessing! You should be able to maintain your finish position after the ball has long left the club face. If you are out of balance then you are either swinging out of control or you are out of position at some point during the swing. 1. Your left leg should be straight and supporting the majority of your weight with your right foot released from the ground positioned on your right tip toe. 2. Your torso and right knee should be facing the target. 3. 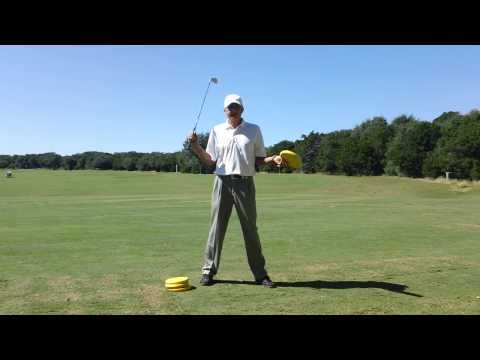 The shaft should be about neck high with your right shoulder closer to the target than the left shoulder. 1. Without a ball, take your 7 iron and get into your golf posture with the club soled on the ground. 2. Now, without taking a backswing, swing to the finish and strive to copy the finish in the above picture. 1. Tee up a ball about 1/2" high. 2. 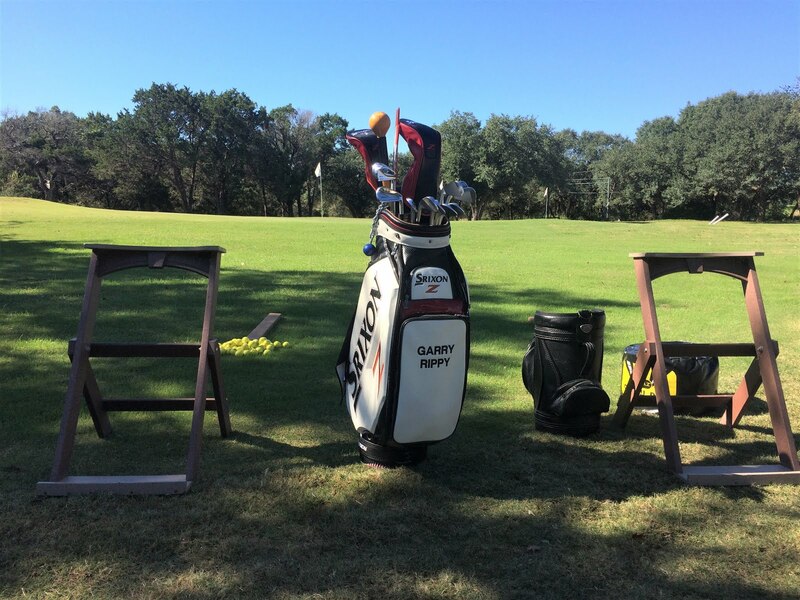 Take your 7 iron and get into your golf posture. 3. For this step you are allowed to take a very small backswing (about a foot long) and then as you move through the ball to your finish you will clip the ball from the tee and it will travel about 10 yards. The goal is to keep the effort level down while focusing on the finish. Step three of this drill allows you to take a 1/2 backswing to the finish and then step four allows you to take a full swing and go to your finish. At step three the ball may travel about 50 yards and at step four the ball may travel around 100 yards. Again, we are looking for the effort level to be slow and smooth while finishing in balance. I will have the student hit about 10-15 balls at each step of the drill. What I have found is by focusing on the correct finish, any backswing issues there may have been tend to take care of themselves. After performing all four steps of this drill, you are ready to hit full shots, but remember, the goal is to finish in balance and the correct position! You may ask is the finish the same for every full swing? The answer is yes! Look how similar the finish on the left with the driver is to the finish on the right with the pitching wedge. Now compare them to the finish with the 7 iron. Now take a look at this driver swing from down the line. Note how you can see the entire bottom of my right shoe. I am definitely on my left side and in balance. To summarize, I think you will discover a tempo or pace for your swing which allows you to move to your finish easily. Finishing in balance is a habit you can perfect with a little practice!